Today, I’m so excited to introduce you to #EpicWeddings – a Jamaica wedding videography company that will not just film your wedding but will produce a cinematic piece of art that you will cherish for generations to come. 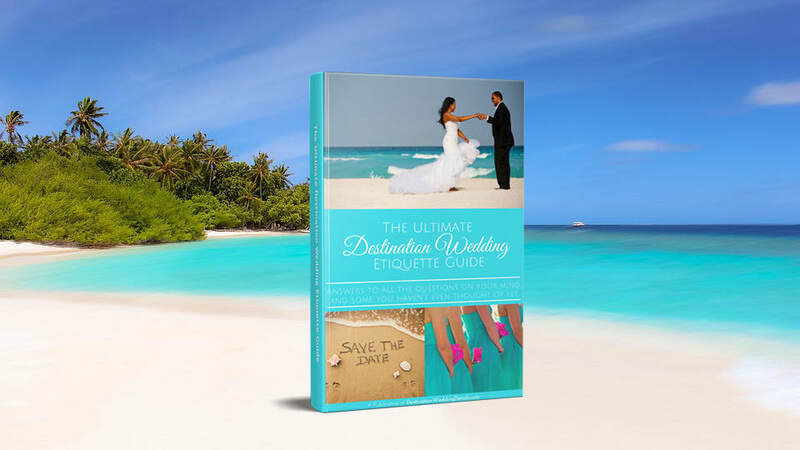 I have a ton of goodies to share with you – an interview with the lead videographer, a photo gallery, some awesome Jamaica wedding videography highlights, and a special deal for you. But before we get into all that, let’s talk about why I’m so passionate about this topic – and why it matters to you. Disclosure: This post was sponsored by Epic Weddings but our genuine enthusiasm for this videographer is all our own. Your support of our sponsors keeps this site running. See our advertising policy here. Before I got married, I thought videography was a nice perk to have – but only if there was money left over in the budget. I didn’t make it a priority. And I’m here to tell you today that not having my destination wedding filmed is without a shadow of a doubt, my single biggest regret. I put all my time and money into photography – and I got some pretty awesome pics – but there are some things that photography just cannot capture in the same way a video can. A great wedding video adds dimension and sound to your memories. It allows you to see your wedding day from a perspective that you might have missed or forgotten when you were caught up in the million things going on at that moment. You’ll get to see how you looked walking down the aisle, what you sounded like when you exchanged vows or had your first dance. And let’s not forget the amazing scenery that probably led you to want a destination wedding in the first place. Now that we have kids, I wish I could show them just how much love was in the air and how much fun we all had. But instead, they get to see the shaky homemade video my mom captured. I wish someone would have told me what I’m telling you today. Wedding videography should be at the top of your ‘most-important-vendor‘ list. So without further ado, here is my interview with Vinton Hulcome from EpicWeddings, along with some examples of his work that will probably give you chills. Enjoy! How long have you been producing Jamaica wedding videography and how did you get started? I have been shooting wedding videos going on close to 5 years. I originally started shooting and directing music videos but I shot a wedding for a friend as a favor and after being commended on doing a great job, I decided to continue shooting weddings. The rest is history. What do you enjoy most about producing Jamaica wedding videography? I enjoy interacting with different couples from all around the world and making their special day into a beautiful piece of artwork. The scenery in Jamaica is simply breathtaking so it isn’t hard to create stunning videos for the couple, while they create timeless memories. What personality traits do you possess that allow you to work well with brides, grooms and their guests? I am naturally a friendly, easy going and fun loving person. I like to converse and share a smile with everyone I come into contact with, as it creates better shots for the couple’s memories and lightens the mood since the day can be hectic for the couple. I also practice patience as the couple might be overwhelmed with all the activities of the day. Do you travel to different parts of Jamaica or do you only shoot in one city? Can you explain the difference between documentary and cinematic style videography – and which of the two styles do you create? Cinematic style of shooting involves a more “filmy” look. It aims to increase the emotional impact of the video with the use of slow-motion shots, creative angles, and special color correction as opposed to the documentary style of shooting that focuses on just capturing the moments as they happen with little to no dramatic effect. My style is a tasteful mixture of both. How do you tell the story of the couple’s wedding day? What do you do to make sure the video is unique to the couple’s personalities? I converse with the couple and get a feel of their personality. I also like to get an idea of the things they would like to highlight throughout the video. Besides the obvious major events (first kiss, cake cutting), what other parts of the wedding day do you film? It usually depends on the package selected, but I shoot everything from the Preparation to the First dance. How much time do you typically spend at the venue shooting video of the wedding? I typically spend anywhere from 4-6 Hours, the times usually vary depending on the package selected. I know that when some brides think of a wedding videographer, they imagine an annoying microphone hanging over them or harsh obtrusive lighting throughout the day. Can you talk a little bit about how you handle the audio and lighting? And how do you get your shots without being ‘in the way’? I usually inspect the wedding area upon arrival, checking the lighting and positioning myself at the best unobtrusive spot and angle to get the best shots possible. I connect a Lapelle mic to the groom or get the audio directly from the audio system set up. How much input does the couple have into the details included in the final video? For example, do they get to decide the song or do you have the final say? I am always open to suggestions but my style of shooting and editing is at my discretion. I always encourage they choose their music as I understand some songs may be of sentimental value to them and it creates a more personalized video. Do you film in HD and do you offer HD-ready video? I shoot full HD, and now we offer 4k Resolution which is cinema grade quality along with a drone which captures 2.7k HD and it creates stunning visuals! How is the final film delivered to the couple? We load the final full videos onto USB flash drives and ship them via FedEx, but now that we are stepping more into the digital age, we are aiming to do away with physical storage altogether, soon clients will be able to download their wedding video directly from our site! (working on that as we speak). We currently have our drone promotion, couples who book with us before the 30th of March will receive free drone footage with ANY package they select! To reserve a date, a deposit is required along with the necessary information. For more info, contact #EpicWeddings here. 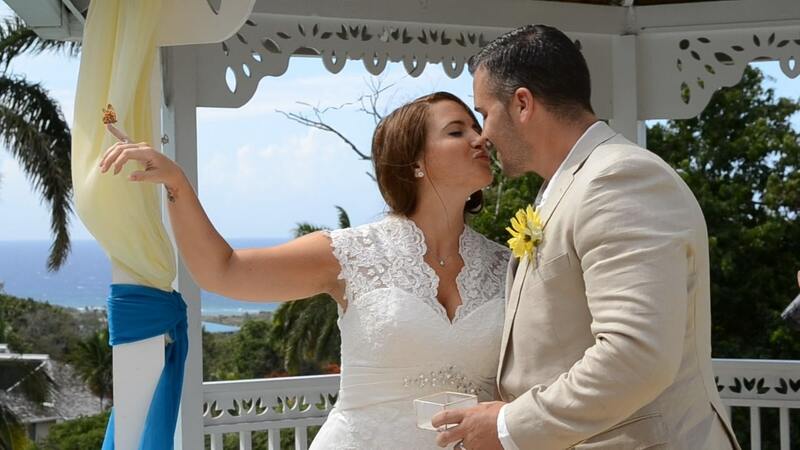 Here are some samples of Jamaica wedding videography filmed by #EpicWeddings. Tip: Make sure you click on the settings button in the video player and then choose “1080p HD” or “720p HD” under “Quality“. If you’re getting married in Jamaica, wedding videography packages by #EpicWeddings are available at very reasonable prices. If you want to know more about their packages and availability, just visit their website.